Universal wall mountable volume/source/zone control with IR receiver for the Barix Extreamer and Annuncicom IP audio distribution devices. 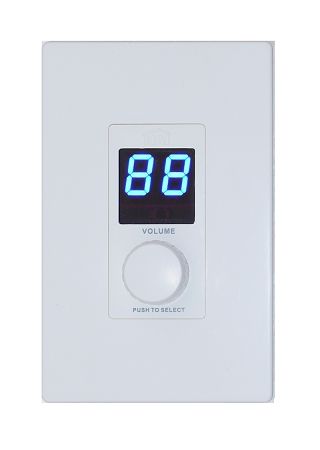 The BARIX VSC, a universal volume/source control for use with Barix devices, features a double digit numeric display, selector dial, and IR reception capabilities. It connects to the Exstreamer serial port via standard CAT5 cable through a supplied adapter.